﻿A unique set of circumstances occur here to make it the only place we know of where flames are burning on the floor of a forest – without burning the trees down! There are a couple of places in the world where flames come out of the ground, but usually in an area of bare rock. In 1922 a couple of local farmers were hunting deep in the bush when they smelt gas. In a moment of madness they lit a match and - boom – the Natural Flames were alight! They have been burning pretty much ever since, with occasional visits from picnicking locals and the odd hunter. In 2012 Merve and Shirley Bigden secured exclusive access through the farm and started taking small groups up to see something quite different. Then in 2015, we (Steve and Elizabeth Riley) bought the Natural Flames business from the Bigdens. After climbing aboard our 4WD vehicle in Murchison we drive up a beautiful, remote valley. We pass capped oil wells and hear about the oil drilling history started last century, before entering private land. Here is a chance to see a farm from inside the fences. Rough tracks take us across fenced paddocks and, depending on the season, we may see hinds with fawns or stags battling, ‘beefies’, lambs or even an emu! From the far end of the farm, we start our walk through rich beech forest. We explain why some of the trees are all black and furry, and point out other fauna and flora as we come across them. As we enter a large clearing we often encounter wild deer and goats quietly nibbling the grass surrounded by mountains. Crossing a side stream we re-enter the fairy tale like forest, full of ancient mosses and primeval ferns. 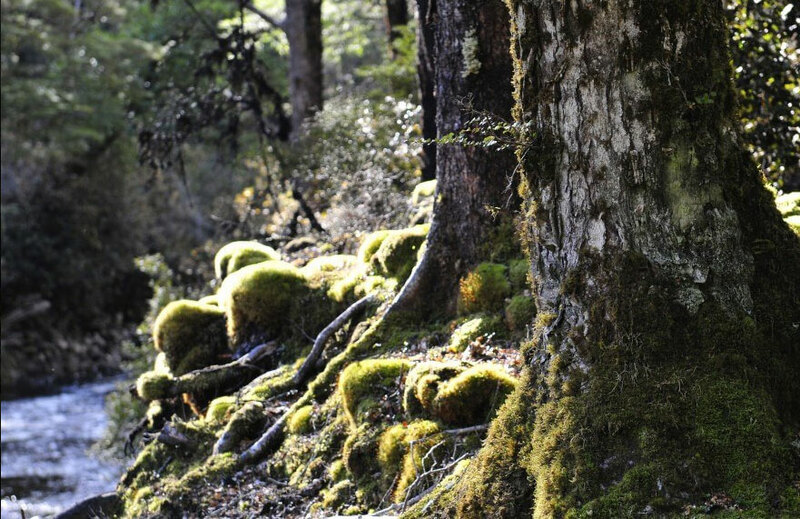 It’s easy to see why ‘Lord of the Rings’ was filmed in NZ! Native birds encountered may include bellbirds, tuis, kakariki, warblers, friendly fantails and tame robins. Wood pigeons crowd the kahikatea, feeding on its colourful fruit. After nearly an hour, the bush becomes dense, and pushing our way through the undergrowth, we suddenly stumble across an extraordinary sight: flames flickering on the floor of the forest, surrounded by ferns and shielded from above by beech trees! It’s not what you expect in a rain forest. 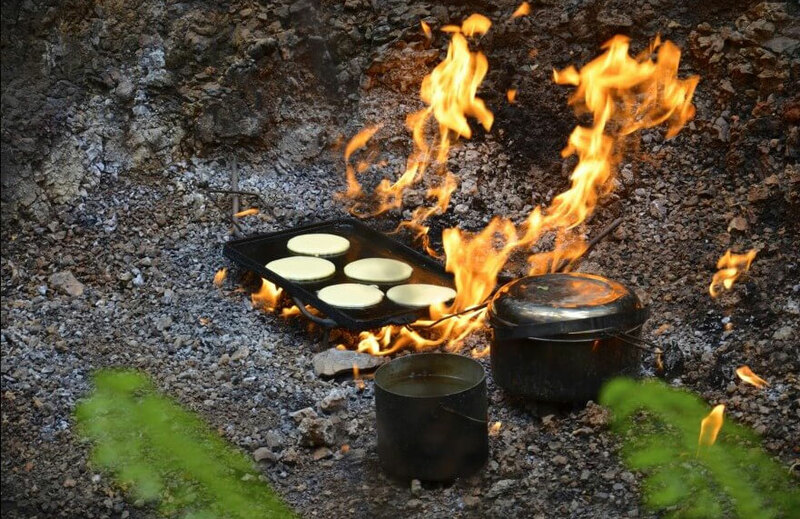 We make ‘billy’ tea over the flames and cook pancakes, eaten with bush-honey. We soak up the atmosphere of this magical spot, undisturbed except for bird song. With a sense of satisfaction we return to the vehicle – and to ‘reality’ - for the trip home! The four hour tour costs $85 for an adult $65 for a child 7 – 15 years.